I almost made one of the biggest mistakes of my life! 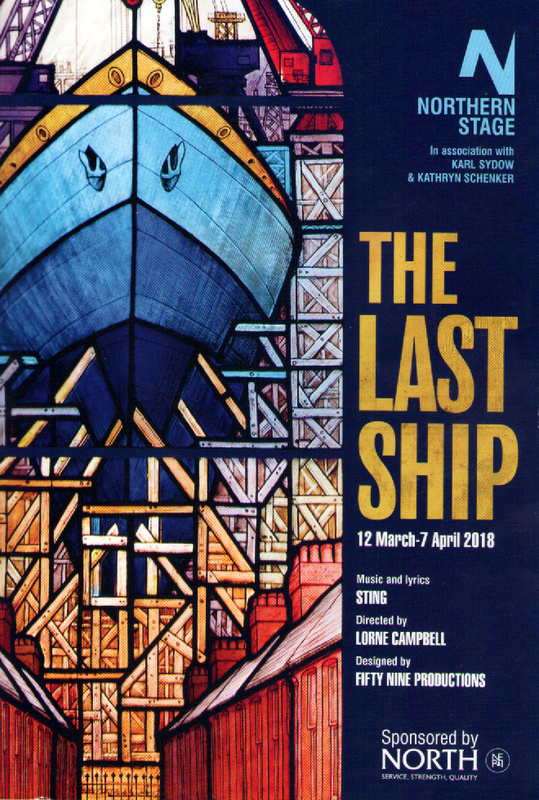 I almost didn't go to see The Last Ship, the musical written by Sting and in the last week of its 4 weeks run at Newcastle's Northern Stage Theatre. The same theatre where Sting learned his craft as a bass guitarist with the Newcastle Big Band although the theatre was called the University Theatre back then. I'd heard songs from the show on radio and seen clips on television which, away from the overall picture didn't even go close to revealing the experience it turned out to. As I set off it was raining, no ordinary rain but such as brought to mind the expression "Not a fit night out for man nor beast". I hesitated. 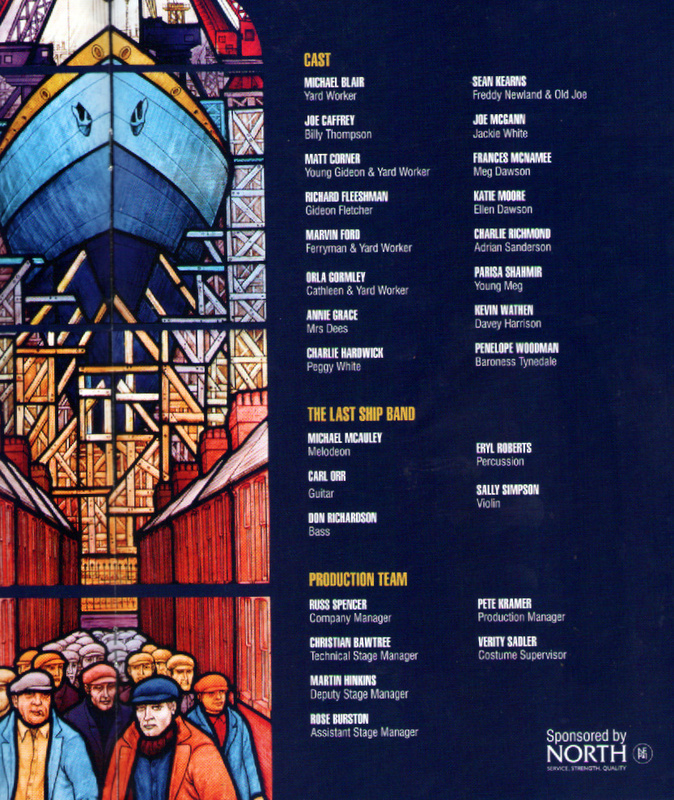 Did I really want to sit in a theatre in wet clothes watching a musical about the closing of a shipyard? I didn't, although having agreed to go with Cormac Loane, another alumnus of the Newcastle Big Band, I felt obliged to 'bite the rivet'. I discovered he too had had similar thoughts! Both of us cast those thoughts, and the weather, aside after the show started. 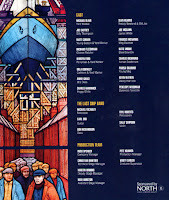 From the opening Irish style folk dance by various shipyard workers to the triumphant finale the standing ovation received at the end was well-deserved. The cast were brilliant both as actors, dancers and singers whilst the storyline managed to combine mirth and melancholy treading the fine balance between laughter and tears. The script is very political. How could it not be given the subject matter? 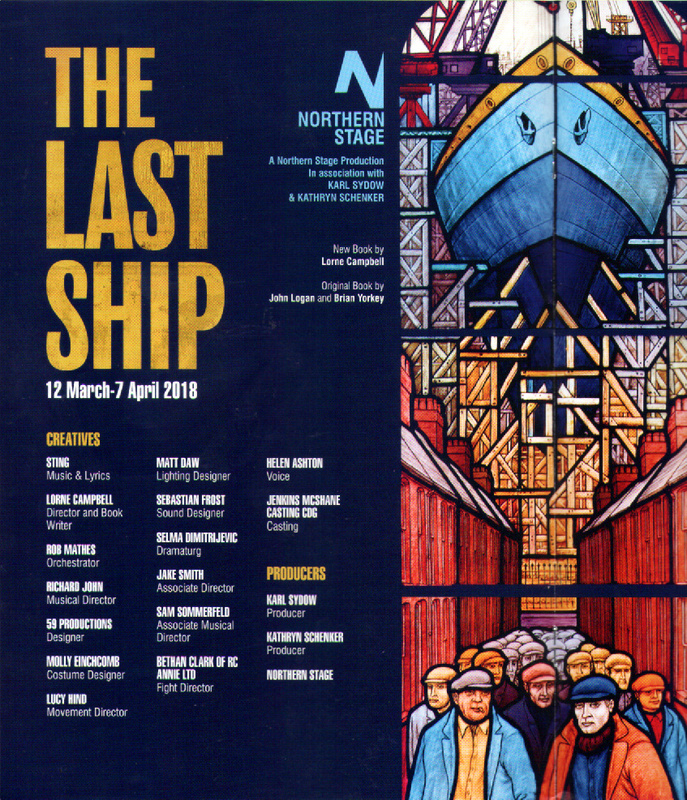 Just as Billy Elliott had the Miners Strike, The Last Ship has the end of shipbuilding in the northeast at its core. That multi-millionaire Sting is able to write such a strong indictment of the 'them and us' society we live in could be regarded as hypocritical - I prefer to see it as, someone who has seen both sides of the coin. The writing is powerful, the songs are melodic several of which could stand on their own merit away from the show. I'm not going to single out any one performer - they all contribute magnificently and, not surprisingly, several have parallel careers as singers as well as actors. 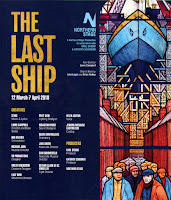 *There's an open-air performance at Spiller's Wharf on Newcastle Quayside on May 28 otherwise, it's next week in Liverpool (April 9-14); Birmingham (April 16-21); Northanpton (April 24-28); Leeds (May1-5); Nottingham (May 8-12); Cardiff (May 14-19); Dublin (June 4-9); Edinburgh (June 12-16); Glasgow (June 18-23); York June 25-30); Salford July 3-7). One of my favorite putlocker movies. It made Movie Night the other night a great success and everyone wanted to know where I found the movie in the first place since it's from 2001 megashare9.me and no one in the room had heard of it.